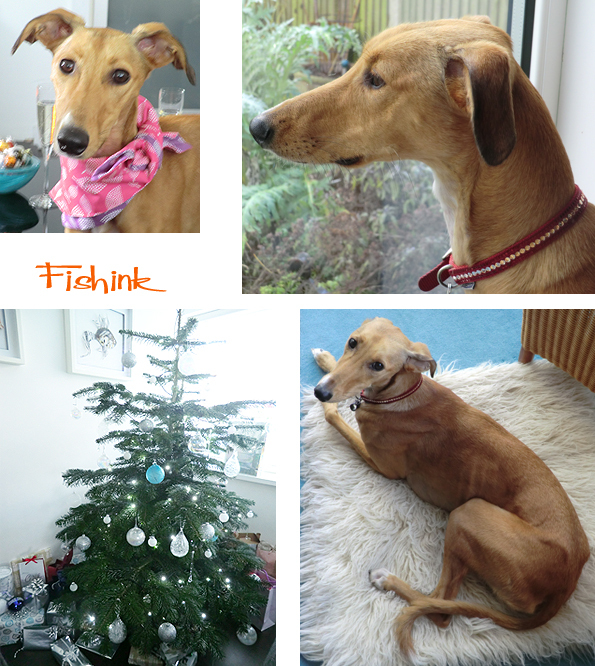 Hi everyone, I thought I’d say a quick hello and send you a few pictures of my Christmas. Boo says hello, or ‘ Woof ‘ or in reality, nothing (as she doesn’t even bark !) but you get my meaning. 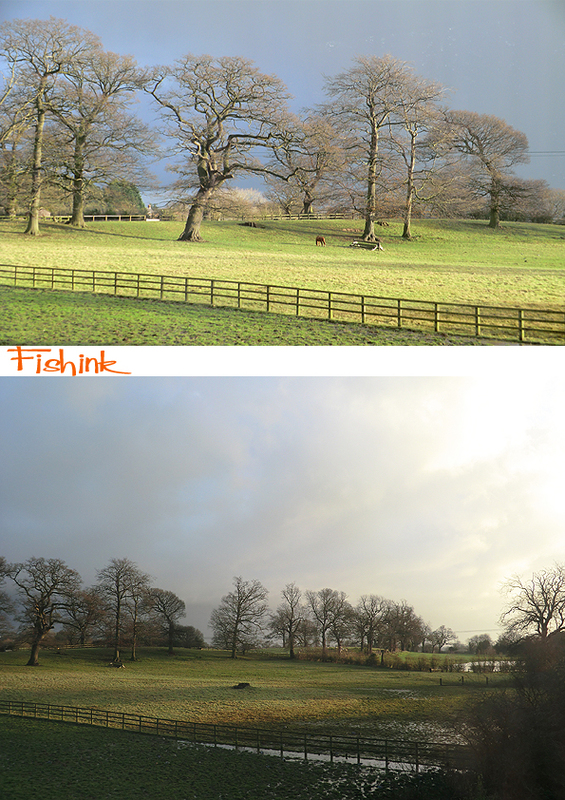 We were invited to spend a few days with friends who live over in Tarporley, in their beautiful home in the Cheshire countryside. How lucky ! This is the view from the kitchen. The light was quite dramatic. 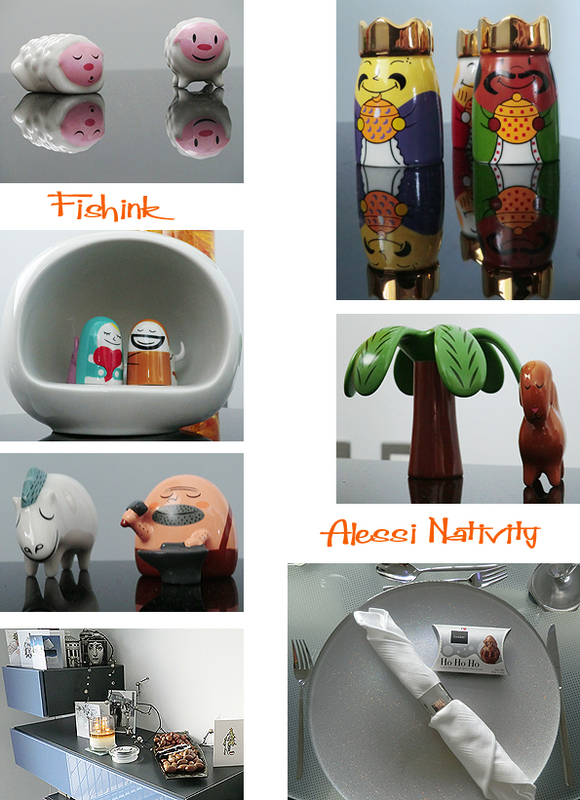 My first encounter with the Alessi nativity scene, which made me smile as much as the three wise men ! We did manage a few local walks too. 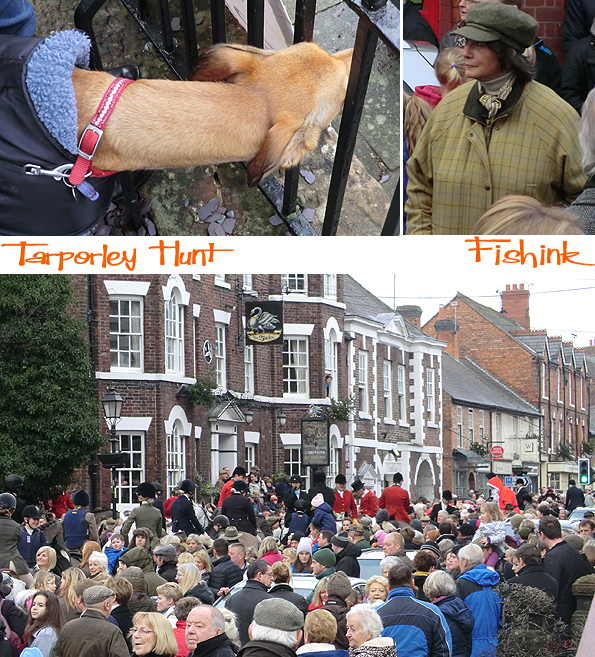 On Boxing Day the Tarporley Hunt gather in the village at 11am. 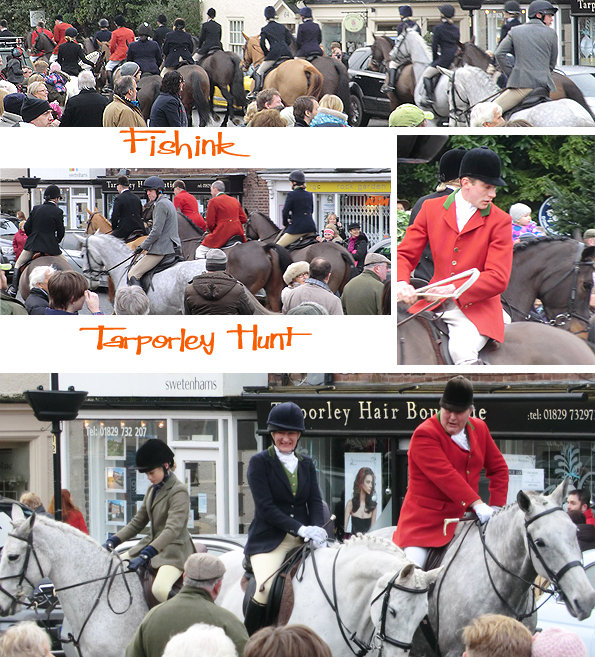 Apparently they don’t actually ‘hunt’ anything (as fox hunting is now banned, and rightly so) but the hounds chase after a scent trail left by a man with a bag of aniseed ! They did look pretty impressive. 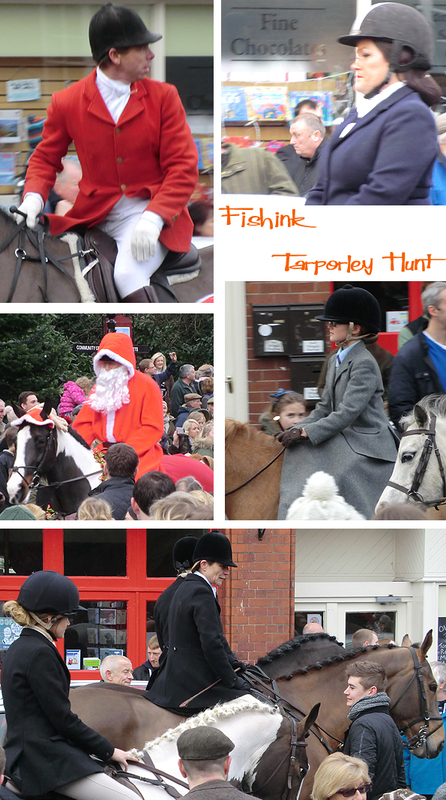 Some great characters in the crowd too, wearing the finest array of Burberry, Hunter, Le Chameau and tweedy-gear that I’ve seen in a long time, lol Even Father Christmas was on horseback ! Everyone was straining to get a better view, including Ms Boo. 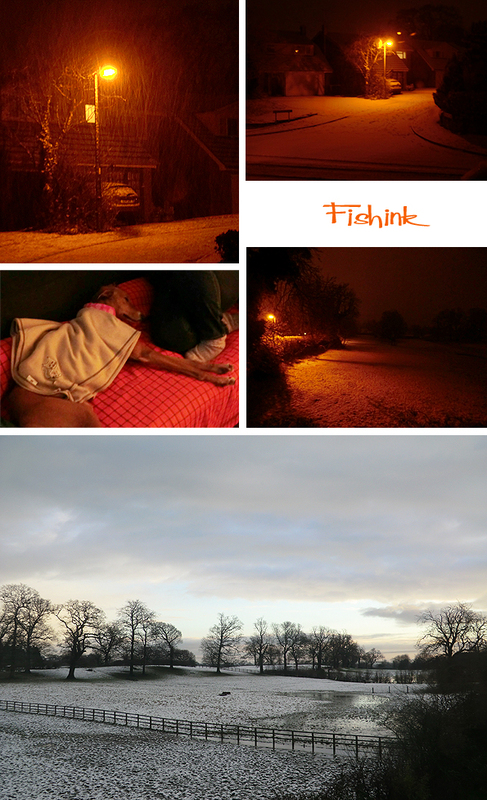 That evening we had a smattering of the white stuff, beautiful to see (from the warmth of indoors). 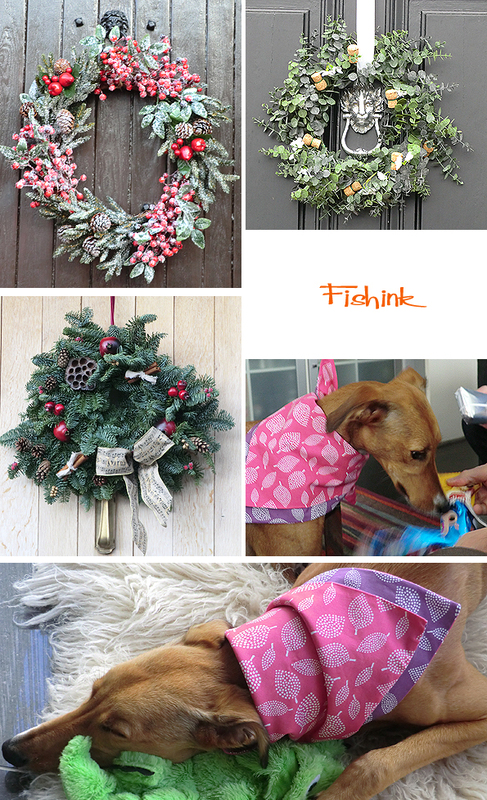 A bit of wreath spotting on the local doors and some present opening by an excited dog too. Time out after sunday lunch and all the excitement. 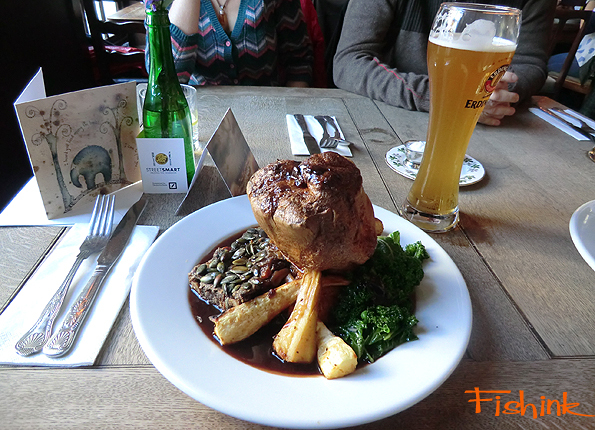 Below is my birthday lunch with friends, a delicious nut roast with the biggest yorkshire pudding I’ve ever encountered ! 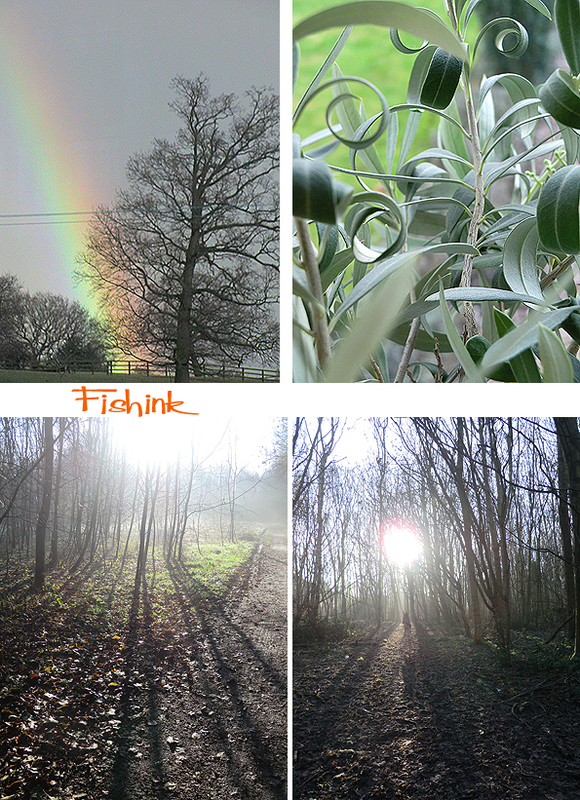 Have a wonderful new year one and all and I’ll catch up with you again in early January.